Making our parks naturally fun! New Westminster Parks offer a wide range of amenities and hidden gems that serve many sports, interests and outdoor pursuits. Basketball programs and/or rentals are also available in the Queensborough Community Centre and the Queen's Park Arenex. Questions regarding the community gardens should be directed to the community group overseeing the garden. Concessions are open on 'good weather days', please call 604.527.4634 to confirm concession operational hours with 'iffy' weather. Please note that Parks Bylaw #3646, 1959 prohibits individuals or groups from selling food or beverages in City Parks or Recreation Centres without prior written permission from Parks and Recreation. Please call Jim Luu, 604.777.5117, to discuss options related to selling food or beverages on City property. Parks and Recreation has outdoor Lacrosse boxes located in Moody Park, Hume Park and Grimston Park. The Lacrosse Boxes are 26m by 59m and can accommodate lacrosse, ball hockey, soccer and roller hockey. Minor Lacrosse has priority use but the boxes are available to the public, at no charge, on a first-come, first-serve basis. In addition, field lacrosse is available on artificial turf fields at Mercer Stadium and Queen's Park. Field use requires a permit, click here to book a field. Finally, indoor lacrosse is offered in the spring and/or summer at Moody Park Arena, and Queen's Park Arena. Each exercise station has how-to and safety signage so that fully enjoy and get the most out of each station. Parks and Recreation offers a variety of entertaining outdoor performances in the spring and summer that generally take place in the Queen's Park Bandshell & Stadium, Ryall Park outdoor stage and the Westminster Pier Park event lawn. Entertainment often includes: outdoor movies and live shows with various themes (i.e. theatre, dancing, musicians, comedians, poetry readings, roaming entertainers and children's performers). For performance details, check out our Active Living Guide or Event Calendar. Performances may be cancelled with poor weather. The Queen's Park Petting Farm is a unique opportunity for children to learn about, and have direct contact with, a wide assortment of common farm animals. Our farm attendants ensure a positive and educational experience for all! The petting farm will bring smiles to children of all ages and it is the perfect family outing. Combine your farm visit with time in the adjacent playgrounds, spray park, washroom, picnic tables and concession. Playgrounds are an essential part of children's growth and a positive escape from the 'electronic world'. Playgrounds allow children the opportunity to socialize while developing balance, strength and confidence. 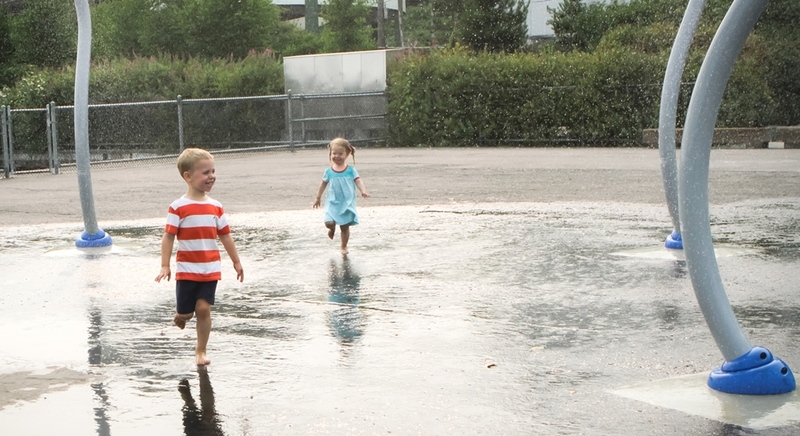 Take advantage of our 22 wonderful and safe playgrounds. Plan a trip today! We offer children a fun-filled summer of games, crafts and activities on good weather days. Please see below for the daily updated status for each respected park. This page will be updated at 9:45am daily, starting May 18, 2019. Westminster Pier Park has two sand volleyball courts, 9m x 19m, available for use on a first come/first served basis. Seasonally, volleyballs can be signed out from Eats Concession but players are encourage to bring their own volleyballs. Spray Parks are a summer delight! 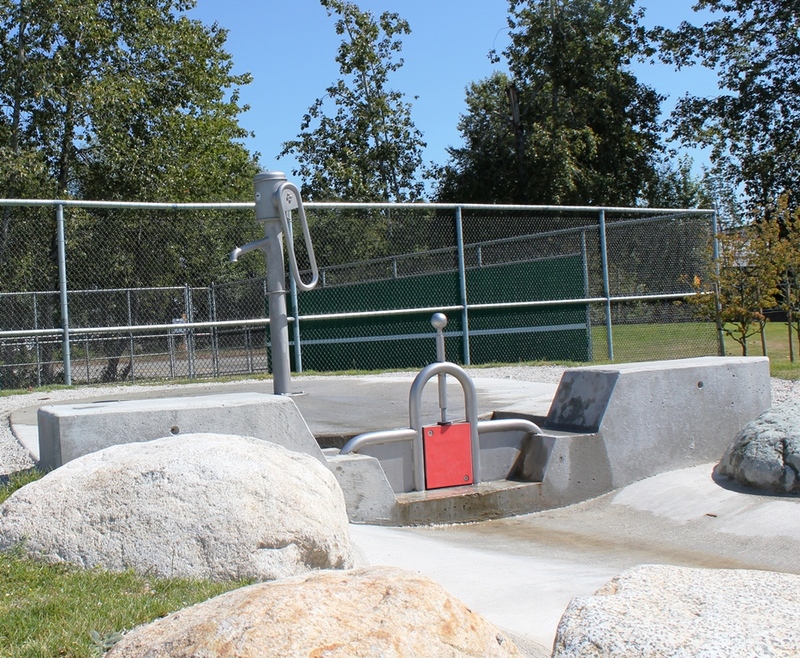 All our spray parks are located next to washrooms, playgrounds and picnic facilities. Supporting water conservation, spray parks operate on manually activated 3-minute cycles and generally operate from 10:00 am to 7:00 pm. In the event of questionable weather, please check this page daily, one hour prior to scheduled lesson times. Note that updates may be made throughout the day to reflect changes in weather and court conditions. For additional information on lessons, contact 604-777-5121 between hours of 9:00-4:00 Monday through Friday. The washroom hours listed below are subject to change (without notice) based on the season, weather or maintenance needs.